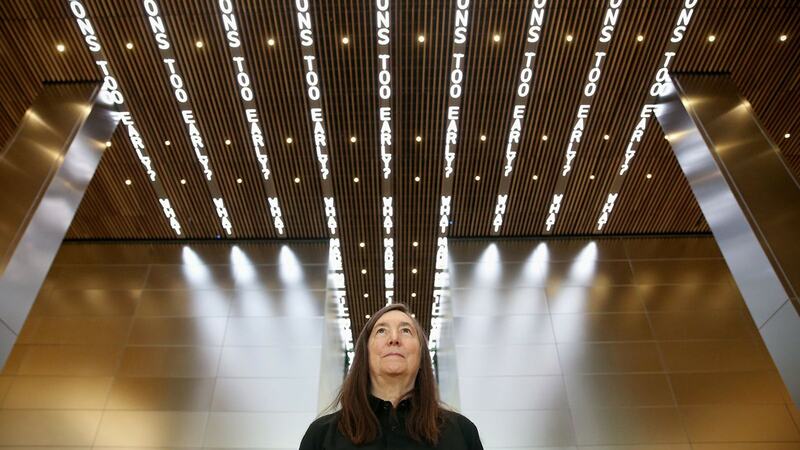 SACO was delighted to work with American conceptual artist Jenny Holzer to feature For Philadelphia, an LED art installation that runs along the ceiling of Comcast Technology Center’s ultra-technology enabled lobby using high speed SACO V-Stream Video protocol. The custom installation measures a total of 2,152 linear feet and is separated into 9 strips, designed specifically to display animated text and video background content. SACO specially made a 6.34mm pixel pitch to fit in between the architectural ceiling wood slats that travel the entire length of the lobby and traverses the escalator area. SACO went even further to create custom greyed out contrast plates and a bespoke low profile, discreet mounting system to seamlessly integrate into the building’s unique architecture and design. The main focus of Holzer’s work is the delivery of words and ideas in public spaces. Upon walking into Comcast Technology Center’s lobby, phrases move forward and back across the tall ceiling like a digital message board. Comically, one narrative reads, “The best day I ever had was when we had the pizza party and I felt happy.” Holzer also included some more consequential messages, such as “You owe the world not the other way around”. Comcast Technology Center is designed by renowned architect firm, FOSTER + PARTNERS and has 60 floors. It is the 9th tallest building in the U.S. and the tallest outside of New York and Chicago. 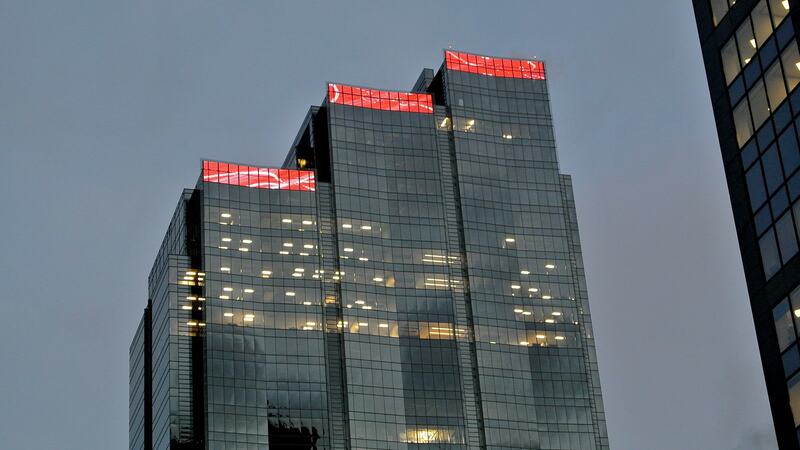 Liberty Property Trust and Comcast Corp. officially opened their new technology tower to the public on October 17. The skyscraper won’t be fully complete until next year, but the public is welcome to explore the tower’s two-story lobby.